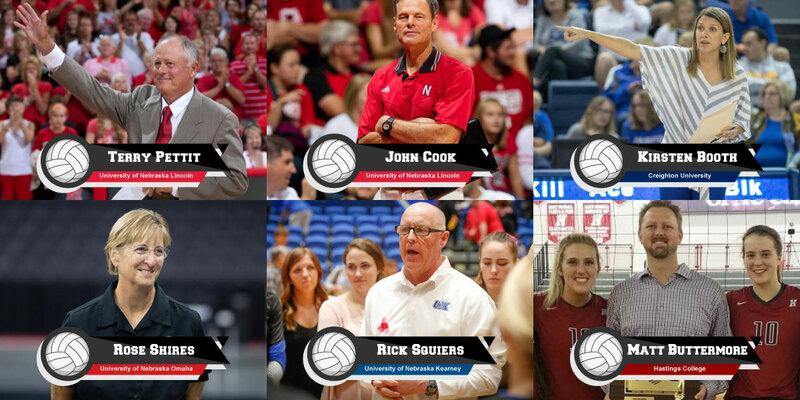 Join us on Thursday, July 18 for a celebration of college volleyball with a reception, awards ceremony, silent auction items and a storytelling session with Husker Volleyball ‘Godfather’ Terry Pettit, current Husker coach John Cook and Creighton Bluejays Coach Kirsten Booth. Plus special awards of distinction will be given to UNO Mavericks Coach Rose Shires, UNK Lopers Coach Rick Squiers and Hastings State Broncos Coach Matt Buttermore. All proceeds to benefit the Nebraska Greats Foundation, a Nebraska-based 501(c) (3) that provides financial assistance to former Nebraska male and female collegiate athletes who, as a result of a medical challenge, have exhausted both their insurance and personal resources.